Internal Security Minister Gilad Erdan says Israel now 'closer than ever' to Gaza military incursion. Internal Security Minister Gilad Erdan says today Israel is "closer than ever" to a Gaza military incursion. ‎Speaking at The Jerusalem Post Diplomatic Conference this morning, Erdan claimed the government is willing and able to enter Gaza "if that is the only way we can guarantee long-term quiet and security for our citizens." 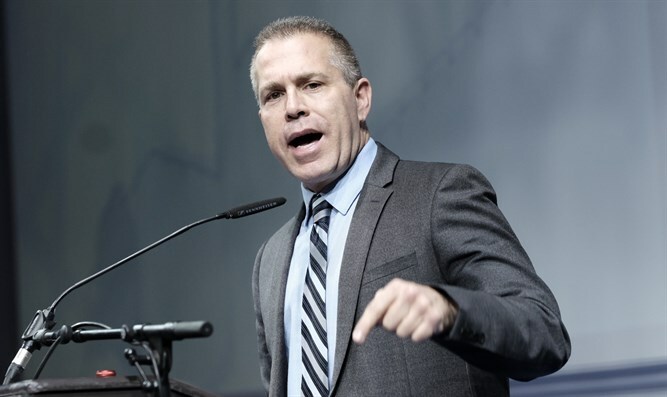 "Now friends, just as we're moving from defense to offense in the fight against BDS, we must move from defense to offense in the fight against Hamas in Gaza," Erdan said. "Moving from defense to offense against Hamas means targeted killings of the terrorist leaders of Hamas' military wing. And it means being willing to capture and hold the Gaza Strip, until we dismantle the terrorist infrastructure. "Today we're closer than ever since the disastrous Disengagement plan to being forced to recapture parts or all of the Gaza Strip. "If that is the only way we can guarantee long-term quiet and security for our citizens, then that is what we will do. "We won't allow anyone to deter us - not Iran that seeks to destabilize our northern border, not the UN that condemns us for defending ourselves, and not the BDS campaign that seeks to undermine our national security and weaken our resolve. "Friends, I look forward to the day when your job really will be boring. When we'll all enjoy a stable and quiet Middle East, and viable and lasting peace in the region. "The way to reach that goal is by abandoning counter-productive polices in the international arena, by utterly rejecting the BDS campaign, and by working together to combat terror in all its forms," concluded Erdan.